Hollywood is back in Boston. Dorchester native and movie superstar Mark Wahlberg has been filming his new movie Wonderland – based on the Spencer for Hire novels. 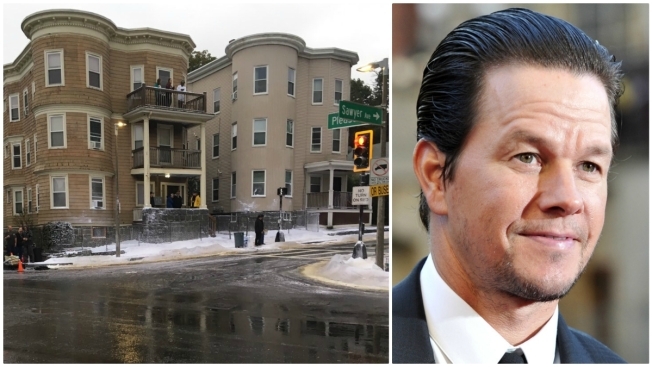 In fact, there have been Wahlberg sightings all over from West Broadway in Southie to Jones Hill in Dot. On Friday, “snow” appeared on Pleasant Street for the film! So be on the lookout for signs of Hollywood in the neighborhood! Special thank you to Dorchester North on Twitter for sharing this photo with us! The post It’s snowing in Dot: Winter “Wonderland” appeared first on Caught In Dot.